Fr. Youhanna Mouris Youssef was born in Egypt on March 28, 1973. He earned a Bachelor of Science in Electronics and Communications in 1995 from the Ain Shams University and worked as an Engineer from 1995 to 2004. He served as Deacon and Sunday School Teacher in Saint George Church in Heliopolis, Egypt 1995-2004. 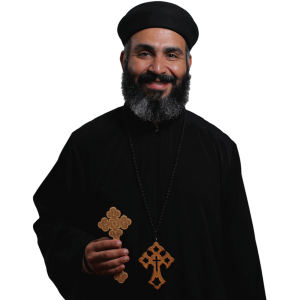 He was ordained presbyter by His Holiness Pope Shenouda III along with His Grace Bishop Serapion on October 13, 2004 to serve in the Diocese.